The 2013 MedSeA oceanographic cruise along the Mediterranean Sea was an essential part of the European project “Mediterranean Sea Acidification in a changing climate – MEDSEA” (medsea-project.eu), within the FP7 Cooperation program. The European project MedSeA assesses uncertainties, risks and thresholds related to Mediterranean Sea acidification and warming, at organismal, ecosystem, and socio-economic impact scales. This is the first expedition studying at the basin scale the impact of elevated CO2 on the Mediterranean Sea biogeochemistry and target endemic organisms. The research cruise had two legs from Cadiz to Heraklion and from Heraklion to Barcelona (May 2, 2013 – June 2 – 2013). The major campaign objective is to conduct a comprehensive water column sampling from each of the basins of the Mediterranean Sea. There will be sediment core sampling, plankton tows and aereosol collectors. We will also deploy 4 bioArgo floats. The MedSeA campaign is also part of an international program GEOTRACES that aims to characterize and study the seawater dissolved elements. The MedSeA project is endorsed by the international IMBER and SOLAS programmes. 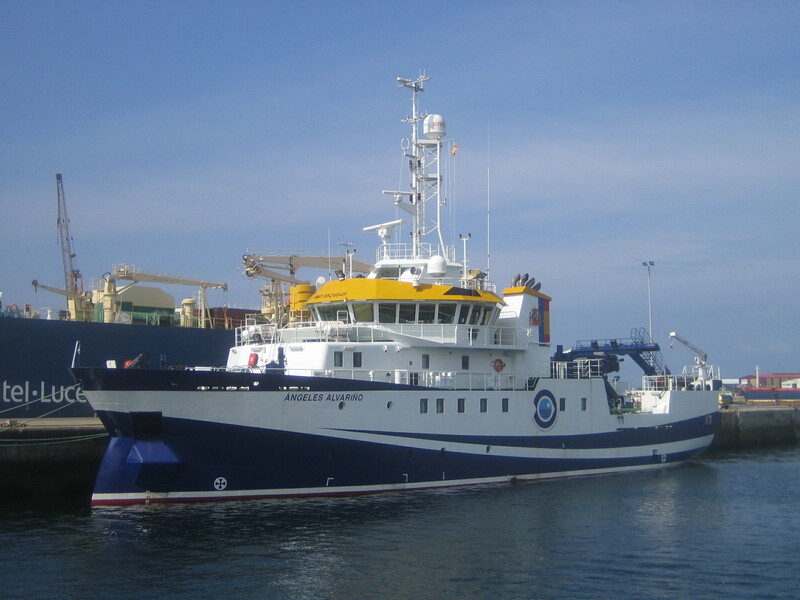 The MedSeA oceanographic cruise is supported by the Spanish Ministerio de Ciencia e Innovación (MICINN). We will sail with the research vessel Ángeles Alvariño of the Instituto Español de Oceanografía (IEC). See where the R/V Ángeles Alvariño is at marine traffic web site.